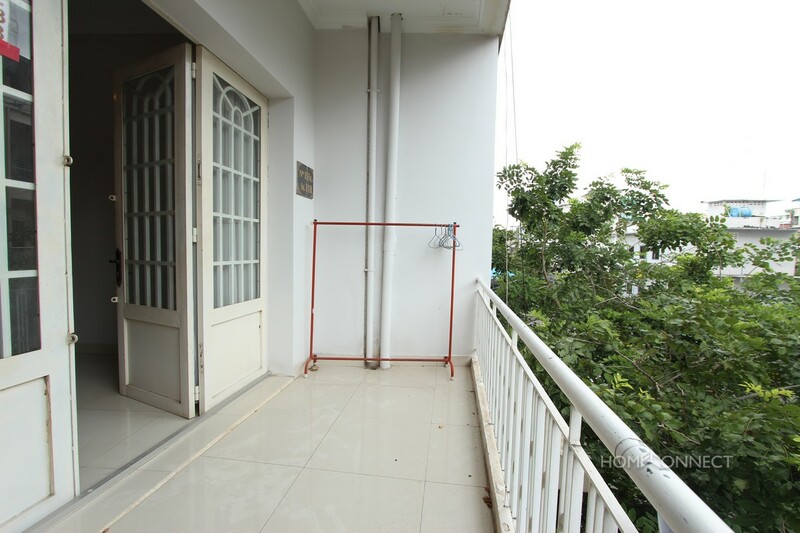 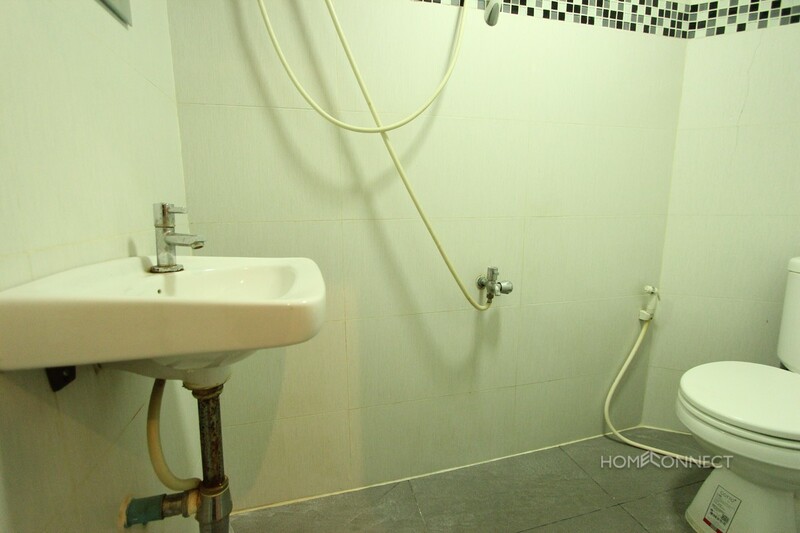 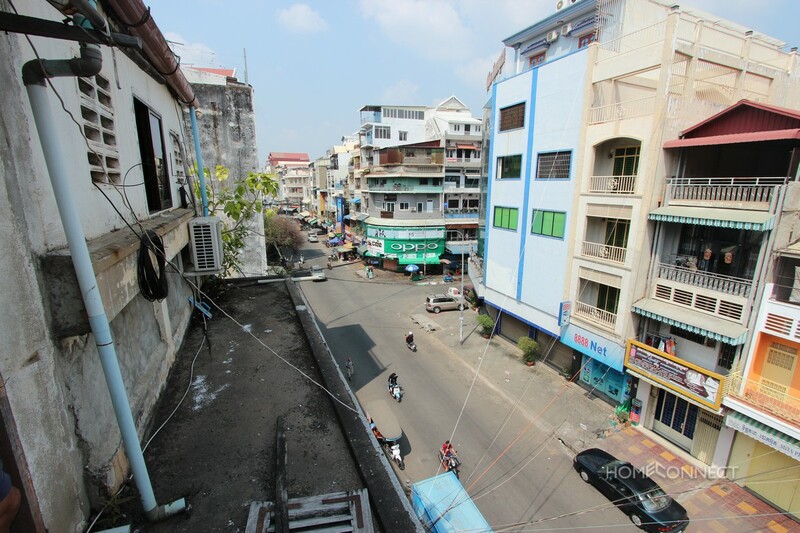 This budget friendly, two bedroom two bathroom apartment is now for rent near to Phnom Penh’s Old Market, commonly known in Khmer as Phsar Chas. 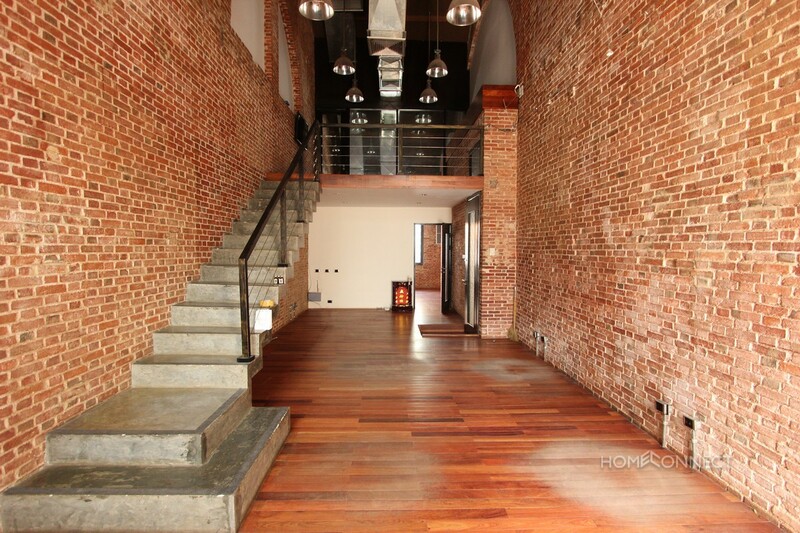 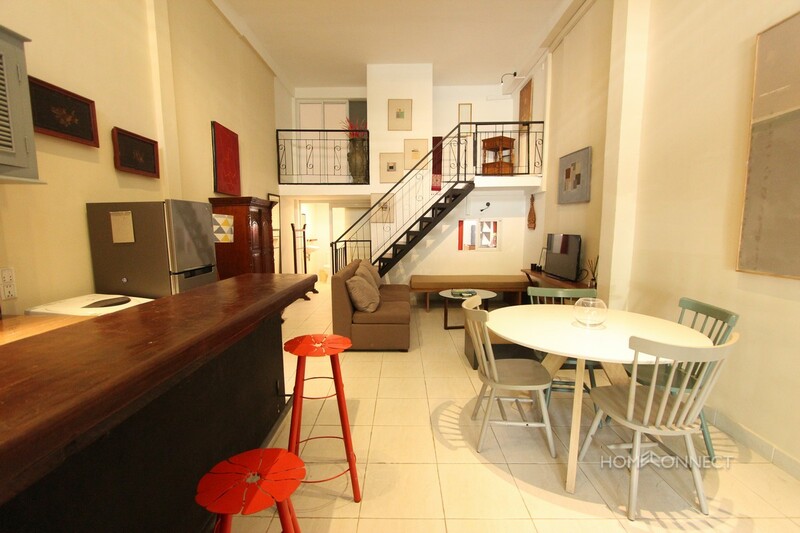 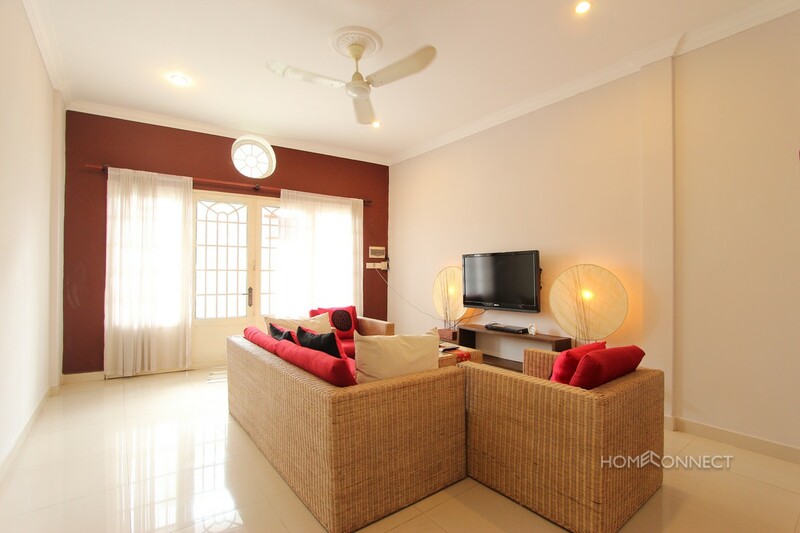 The house comes fully furnished and includes free cable TV in the rental price. 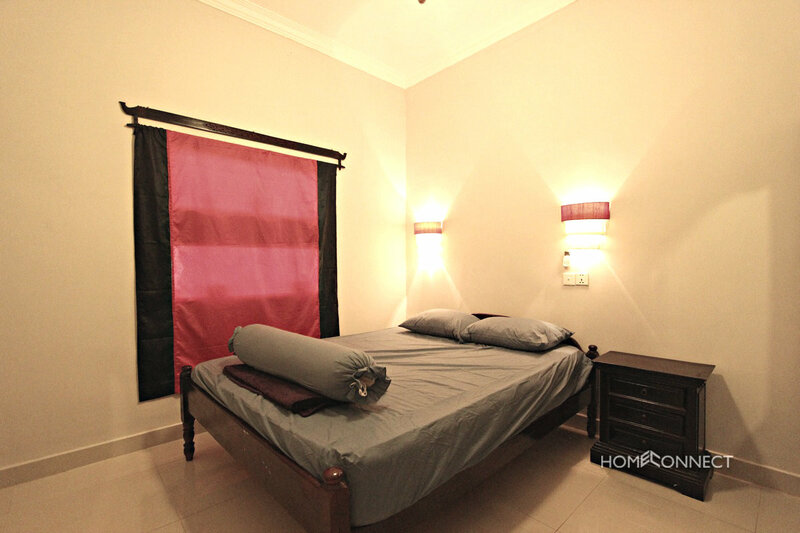 The bedrooms are both comfortable and have their own private bathrooms. 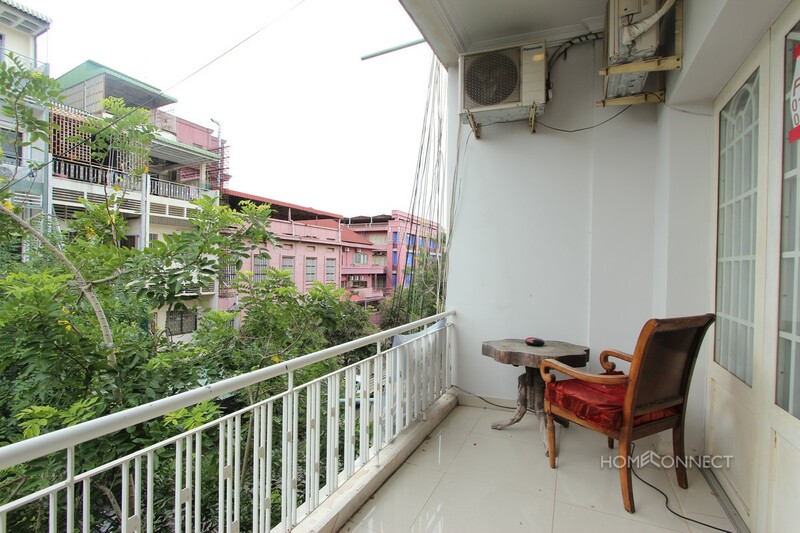 There is a large balcony offering a lot of fresh air and a nice breeze. 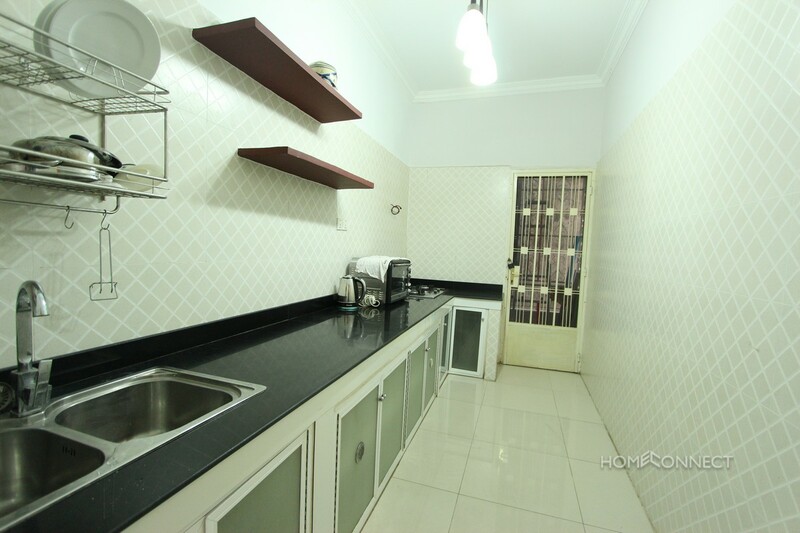 The kitchen is spacious with a lot of counter space and offers a stove top burner as well as a convection oven. 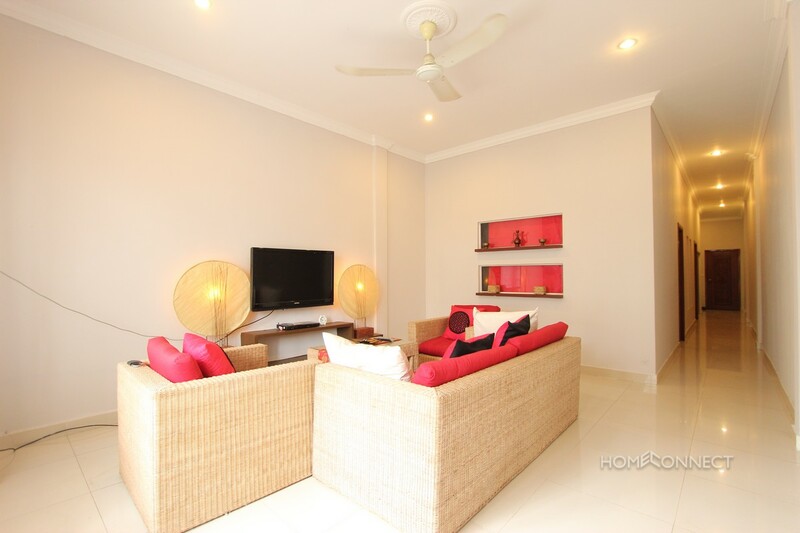 There is a large living area offering a great place to relax after a long day of work. 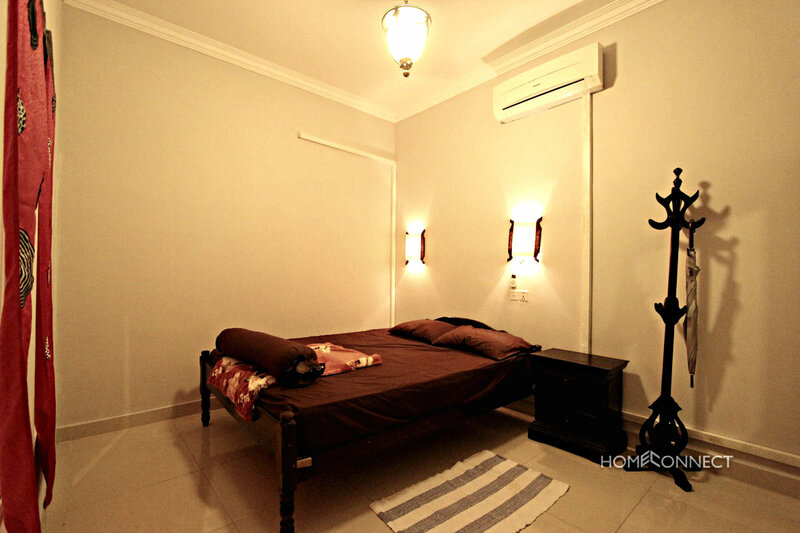 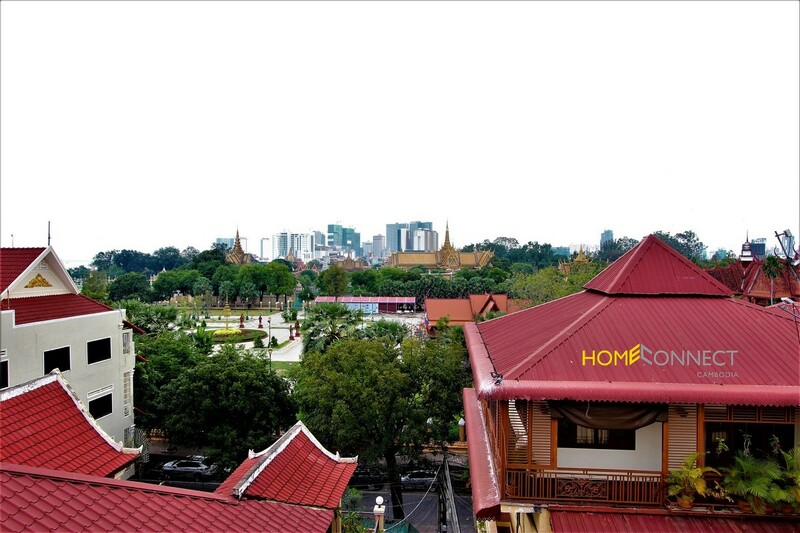 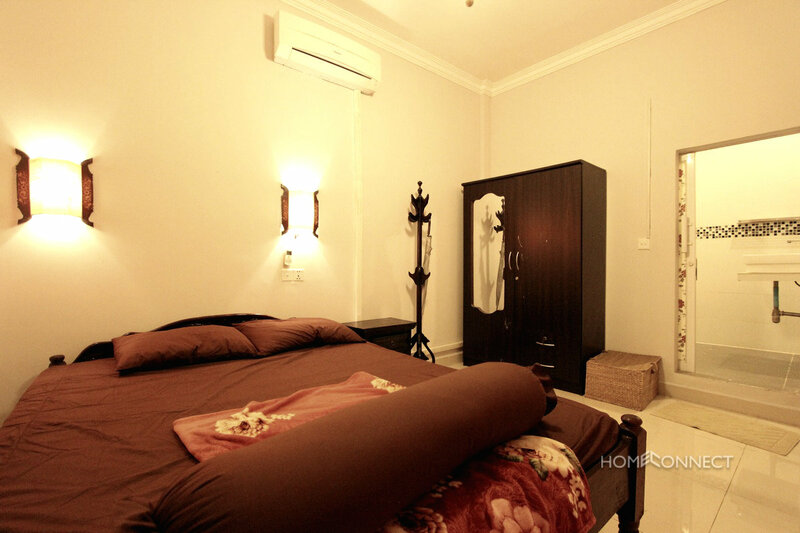 The location of the apartment is very near to Old Market and just a few streets away from the popular Riverside area of Phnom Penh. 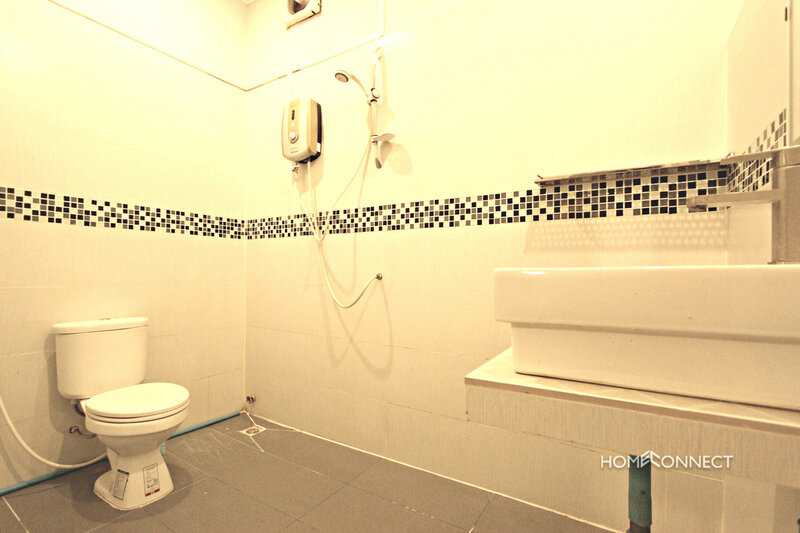 Nearby to many international eateries as well as several convenience stores and shopping malls.